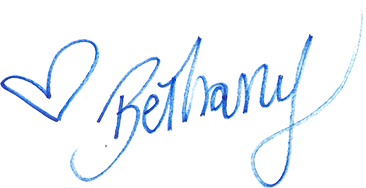 My new film, BETHANY HAMILTON: UNSTOPPABLE’s theatrical release date has been set! The documentary will hit theaters on July 12th, 2019!! Entertainment Studios Motion Pictures (ESMP) announced today that their theatrical distribution division acquired the documentary for worldwide theatrical distribution. UNSTOPPABLE has been a labor of love, a true passion project for me and filmmaker Aaron Lieber. I’m so thankful to my sponsors who supported both me and the film – Rip Curl and Corkcicle, along with the film’s sound mix sponsor Dolby Atmos. Also thankful to my other partners Designer Protein, Cobian, BioClarity, Channel Islands and others who have supported me along the way, helping enable this project to come to life. One more big shout out to all our Kickstarter supporters who believed in the project and got it off the ground! Mahalo nui. This year marks eight years since my biopic Soul Surfer came out in theaters. I loved Soul Surfer, but UNSTOPPABLE is the real me. While it touches on the earlier parts of my life, UNSTOPPABLE carries on from the end of Soul Surfer‘s story into life after that, when my professional career began. It digs deeper into my adult journey. I loved Soul Surfer, but UNSTOPPABLE is the real me. What does this news mean for you? UNSTOPPABLE will be rolling out to various theaters across the USA starting the weekend of July 12th, for about 4 weeks. So plan now to take your family & friends to the theater to see it! International releases will follow. And home entertainment and streaming options will follow as well. We will try to keep you updated with more information as it becomes available. If you’d like to help support the film by sharing about it’s release on your social media and in your community, or even hosting screening events, please consider joining The Unstoppables. The Unstoppables will receive information in the coming months on the best ways you can help spread the word about the film! Want a peek at some of the places where the movie was shot? Then check out my book Be Unstoppable, available now online and at wherever books are sold. So stoked you’ll finally get a chance to check out my new film, starting this July!